This post contains four recipes. Slice top and sides off Brie and discard. Place brie on baking dish. Mound pecans over cheese and cover with the brown sugar. Bake uncovered in preheated oven, watching closely, until the edges are bubbly, about twenty to twenty-five (20 to 25) minutes. Serve warm out of the oven with Carr's® Table Water® Crackers. 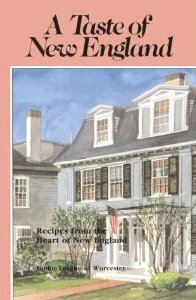 Adapts Junior League of Worcester, Inc., A Taste of New England (Memphis: The Wimmer Companies, Inc, 1990), 21. Unroll crescent rolls, pressing seams together to form one rectangle. Trim rind from top of Brie and discard. Place Brie in center of dough and evenly sprinkle brown sugar, nuts and green onions over top. Fold dough over cheese gently stretching as needed; press edges together to seal. Brush dough with beaten egg. Bake at 375ºF until golden brown, about ten to twelve (10 to 12) minutes. Do not overbake, as cheese will run. Serve on platter surrounded with apple slices. Preheat the oven to 350ºF. Cover a baking sheet with parchment paper and place the brie on top. 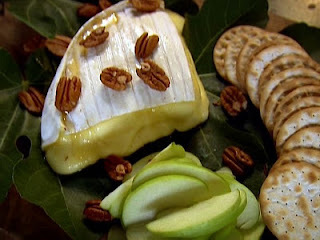 Drizzle with the honey and bake brie until it starts to ooze but not melt, about 5 to 7 minutes. Serve warm with crackers and sliced apples. Spread pecans in 9-inch pie plate; microwave at High setting for four to six (4 to 6) minutes, stirring every two (2) minutes until toasted. Add Kahlúa and brown sugar, stirring well. Remove rind from top of Brie and discard. Place Brie on a microwave-safe serving plate. Spoon pecan-Kahlúa mixture evenly over top of Brie. Microwave, uncovered, at High setting until Brie softens to desired consistency, with one and one half to two (1.5 to 2) minutes suggested. Give dish a half-turn after one (1) minute. Serve warm with Melba Toast or assorted crackers.